The Go! Team began as the work of just one man, Ian Parton. In the years since The Go! Team's debut Thunder, Lightning, Strike Parton's ambitions (and the need for a live band to perform his compositions in concert) expanded the band to a six-piece. With the influx of new members came new sounds, moving Parton down sonic avenues further and further afield of his triumphalist, bedroom beginnings. In the recording of The Go! Team's latest album, however, Parton said, "no more! ", going back to his roots as the sole creative force behind the group and recording all of the album's pieces himself (barring the vocals which he farmed out to a different up-and-coming singer for each track). 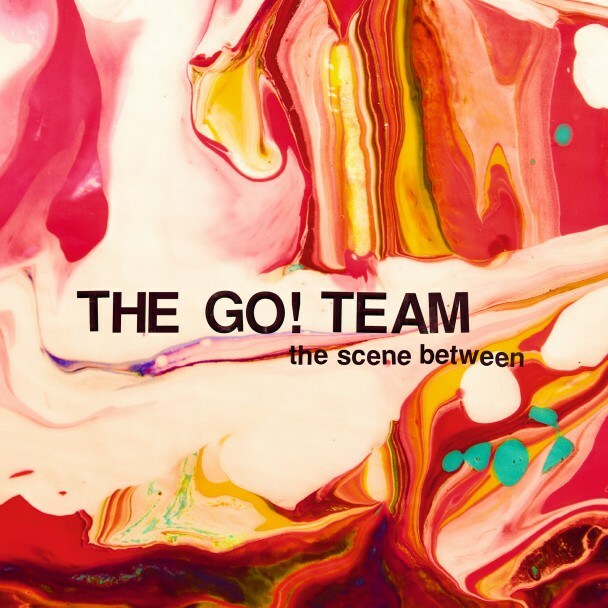 The resulting album, The Scene Between is twee distilled down to its very essence, rid of any outside impurities. This sugary-sweet pop concentrate is clearly the result of Parton locking himself in a room with the bubblegum pop of yesteryear until even the verses he was writing came out functioning like hooks. Scene is what would happen if Phil Spector and Max Martin got together to make a dream-pop album. The album's opening salvo perfectly preps the listener for what's to come. 'What'd You Say?' is three and a half minutes of blissed-out , sunshiney earworms. Every single component of the track, from Samira Winter's chiptune-y vocal lines to the rolling "oooo"s, is tailor-made to wedge into your brain as you make your way to the beach. Of course, too much sugar will make you sick. Parton throws in the odd spaceship sample and ultra-fuzzy production to remind the listener that this is still, in fact, a Go! Team record and expertly avoids overindulging the listener with songs like 'Waking The Jetstream' and 'The Art of Getting By (Song For Heaven's Gate)'. While I'd never stretch to call any of the songs on The Scene Between somber, these cuts space out the album with a slightly airier vibe and a downcast vocal delivery. Parton knows when to dilute his potent pop mix to make it last over the length of an entire album and it shows in the sequencing. Previous Go! Team releases made hay with the wildly disparate samples and genre touchstones they used to create a cohesive whole. This album shows just how powerfully the songs can come across when all of the various elements come from the same anorak-clad family. Every layer of every track is a shambling, C86 nod that's been cranked up to an unreasonably loud level to ensure that the audience has no choice but to dance. To strip apart and examine the layers of an album this single-minded and treacly would be like comparing tasting notes on a glass of Sunny D.
That's not a knock on Scene by any stretch. There are times - like when spring finally rolls around after an insanely harsh winter - that the radioactively bright color and taste of the kid-approved corn syrup-and-water concoction is exactly what you need. It certainly beats the hell out of purple stuff.